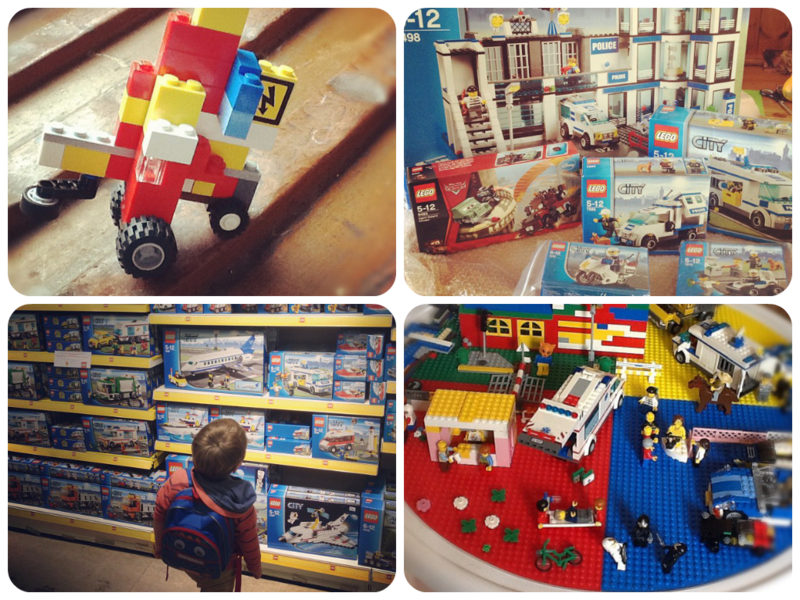 If you've ever met my little boy, or if you follow me over on Instagram, you'll know just how much he completely and utterly adores Lego. I would go as far as to say it's an obsession. 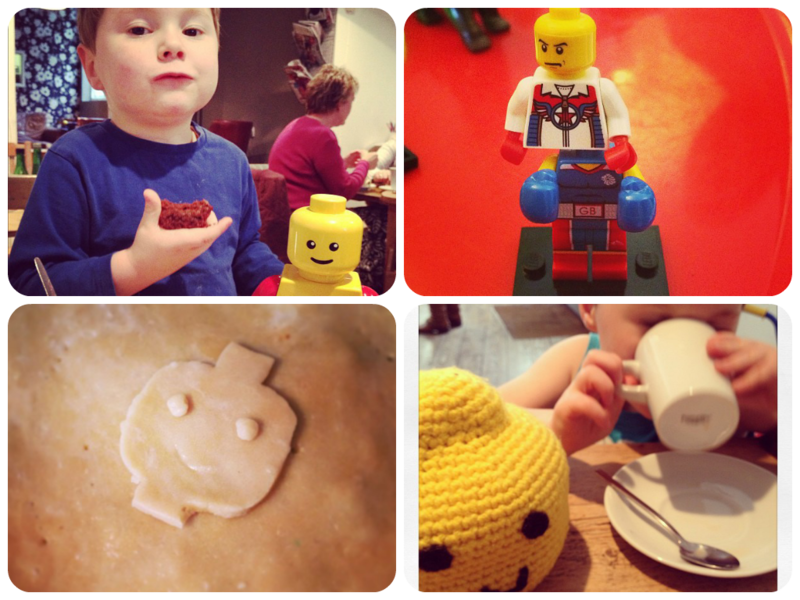 It started with Duplo, the lighter slightly softer of the two, but it quickly escalated to the 'big boy' variety. 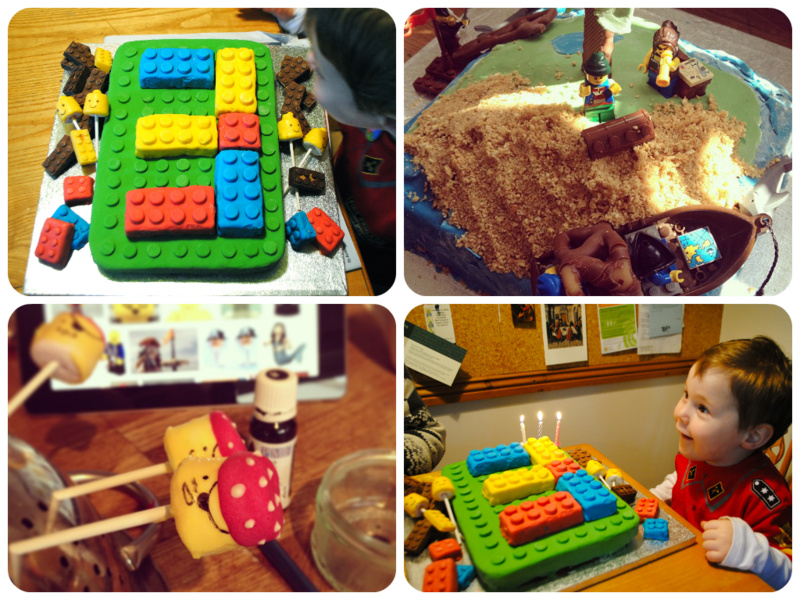 On his third birthday we were still trying to stick to Duplo, I made him a cake which represented his love of this humble brick and he was showered with Duplo gifts. We did however give him a couple of the minifigure packets that birthday, which he adored. 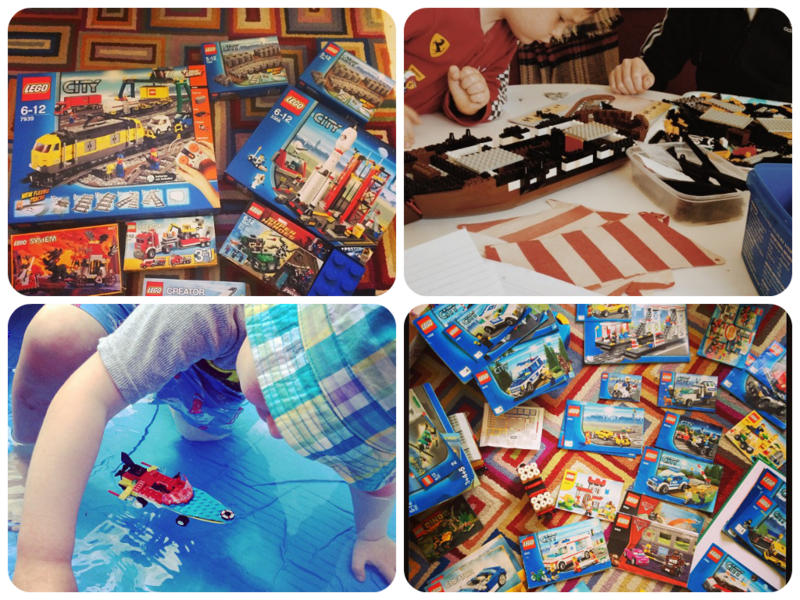 A few weeks later my Aunt came to visit and provided him with a late birthday present and his very first proper set of 'big boy lego'. It was very much a downhill slope from there on out and the rate this obsession is going I fear that soon I will lose the battle to keep at least some rooms in my house Lego free. Milo's excitement about this simple toy soon reignited Johnny's childhood passion and now I have two very large Lego collections to put up with. Milo's resides at the end of the living room, sorted into drawers and boxes, arranged by colour, with a few shelves for showing off his favourite creations. 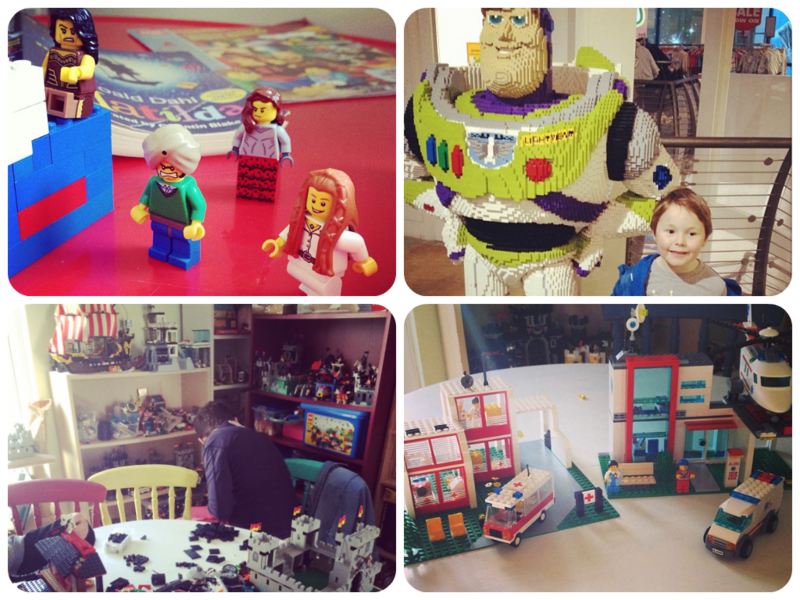 Johnny's lives at the end of the dining room, is entirely vintage, mostly obtained from car boot sales, ebay, charity and clearance shops and is organised in a much more specific manner by brick type. He has a whole range of shelving units to show off his almighty collection. He assures me regularly that theses models will be sold on ebay one day. 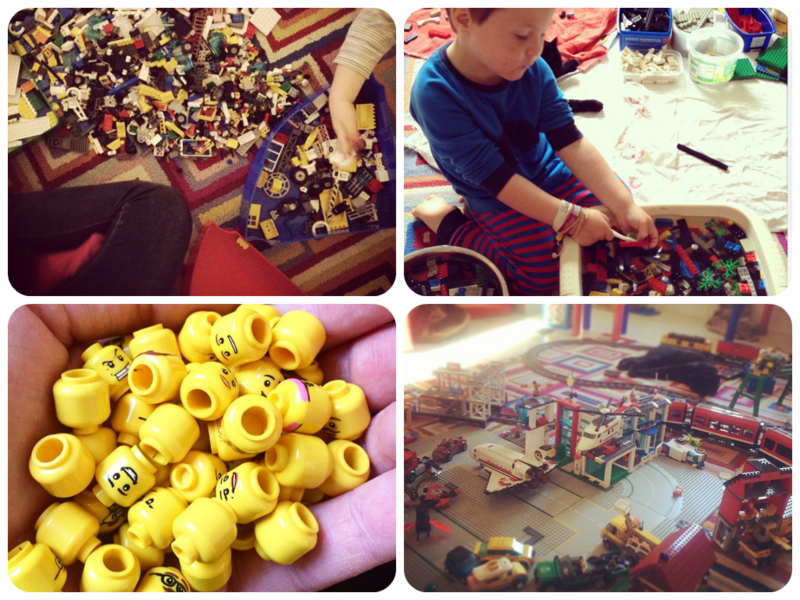 Yes I get fed up with Lego all over my living room floor, having to push aside piles and piles of bricks in order to make just enough space on our dining table so we can eat, but it keeps both of them very quiet and happily entertained for hours on end. The first thing Milo does every morning on waking (after confirming with me it's not to early to get up) is go downstairs and build Lego. It keeps him completely engrossed until I get up to get him ready for school. He builds elaborate models from his imagination, usually influenced by whatever film he's seen recently or other things going on in his life. He built a fabulous version of a Superdry store once, including mannequins, a t-shirt, trousers and accessory sections, complete with till area, and even a stock room (Johnny works for Superdry you see). After returning from the Tarzan movie a few weeks ago, together we built a wonderful jungle, with a waterfall, camp, treehouse and full of flowers, plants and animals. The characters from books we're reading often find themselves in minifigure form and I love hearing him reenacting the chapters we read the previous night. It's so enjoyable watching Milo and Johnny spend weekend after weekend working away together on a big project. I'm always so impressed with how Milo can follow the instruction book with complete ease. He so clearly understands how the models come together and after years of following the instructions he now has a great basic understanding of the structure, to work away on really complicated models from his own imagination in a way that makes me so proud. I do worry sometimes that he's a little blinkered in his toy choices, the few other toys he has rarely get a look in, though the Duplo still comes out regularly and more recently pens and paper have become popular too, very often used to create his own instruction books for his self imagined Lego sets. However I can see he learns so much from these simple blocks, maths, the ability to follow instructions, creativity, storytelling, fine motor skills and so much more, I can't ever imagine this obsession waining. 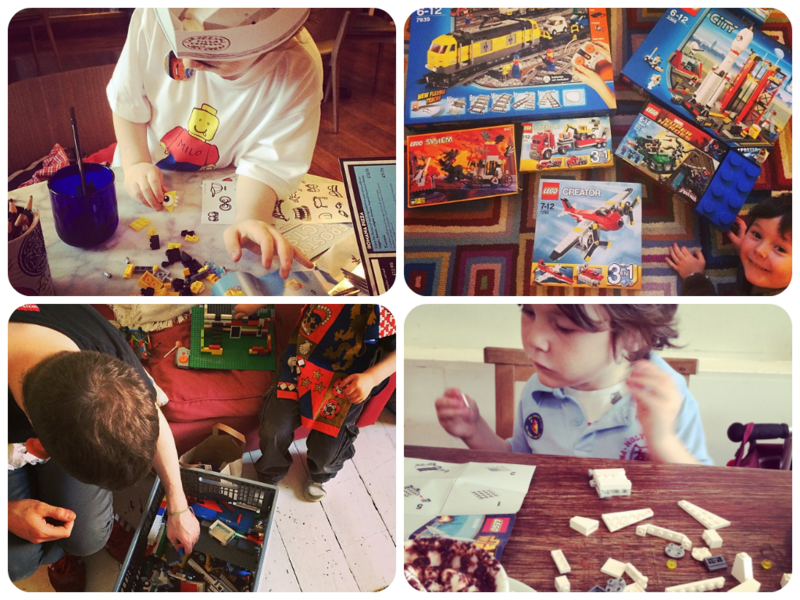 I expect to have an engineer or an architect or if Milo gets his way, a Lego set creator as a grown up son one day!